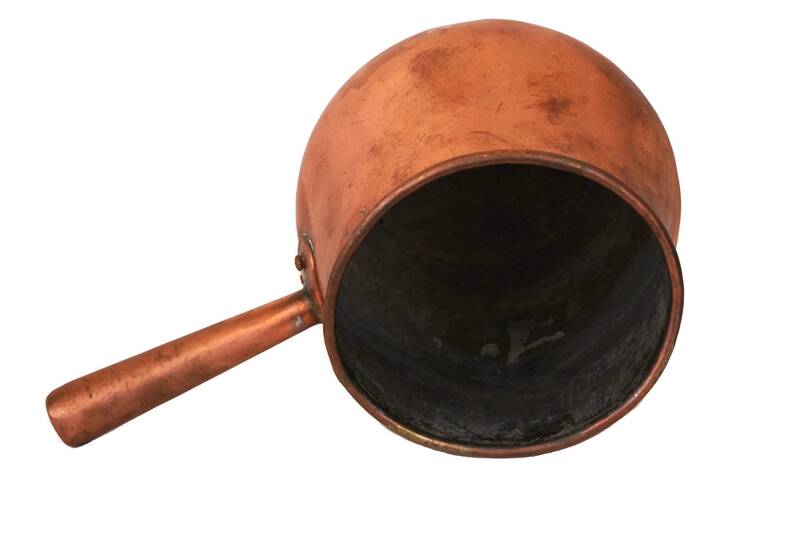 A large antique French copper pot manufactured in France in the late 1800s. 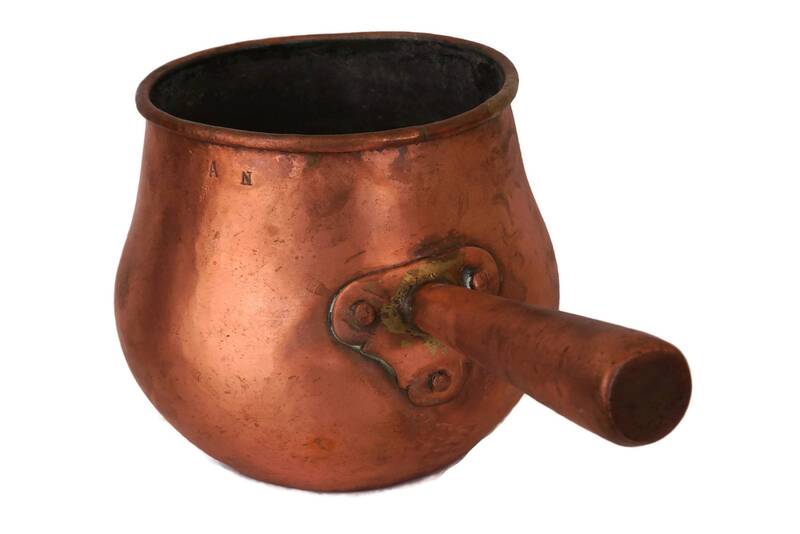 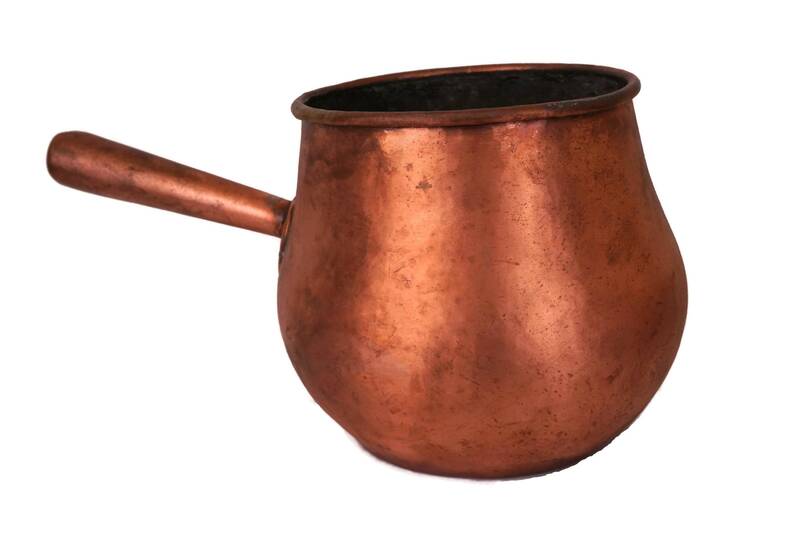 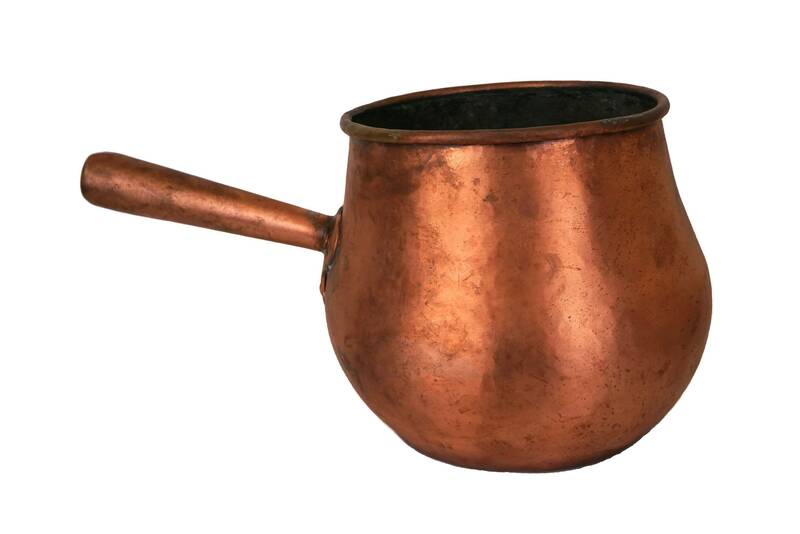 The water cauldron has a belly shape with a fat bottom half, a flat base and has a long brass handle. 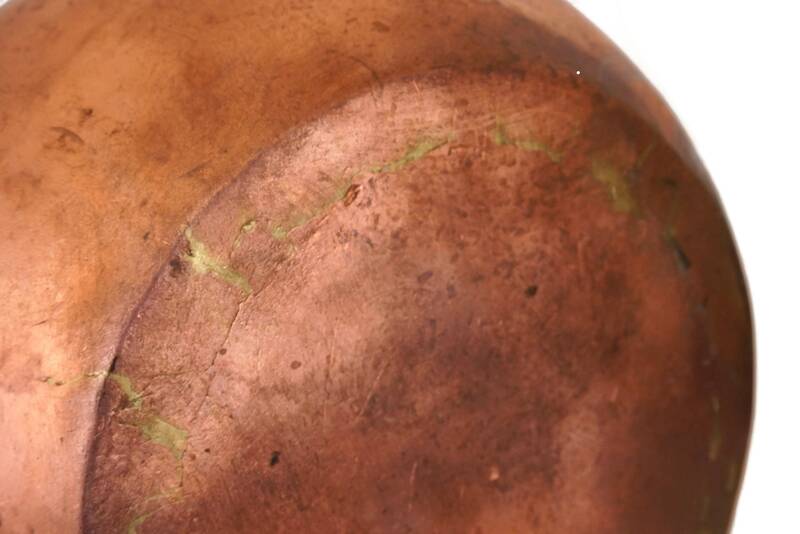 The interior has been lined in tin and it is thus safe for food preparation. 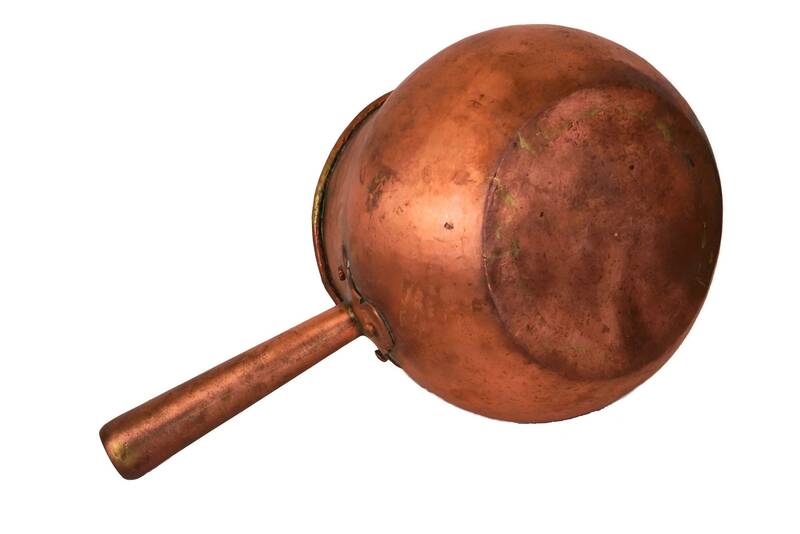 The antique round water boiling pan been made in the dove tale joined way on the base. 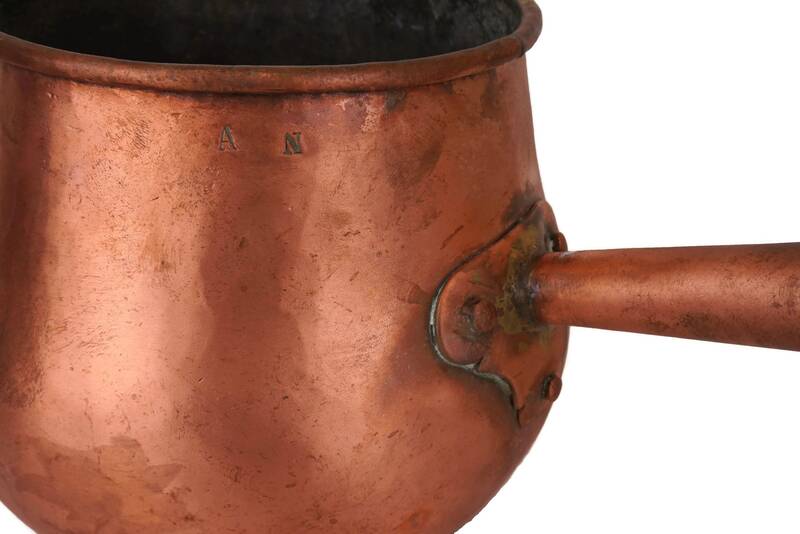 It has been stamped with the initials AN at the top near the handle. 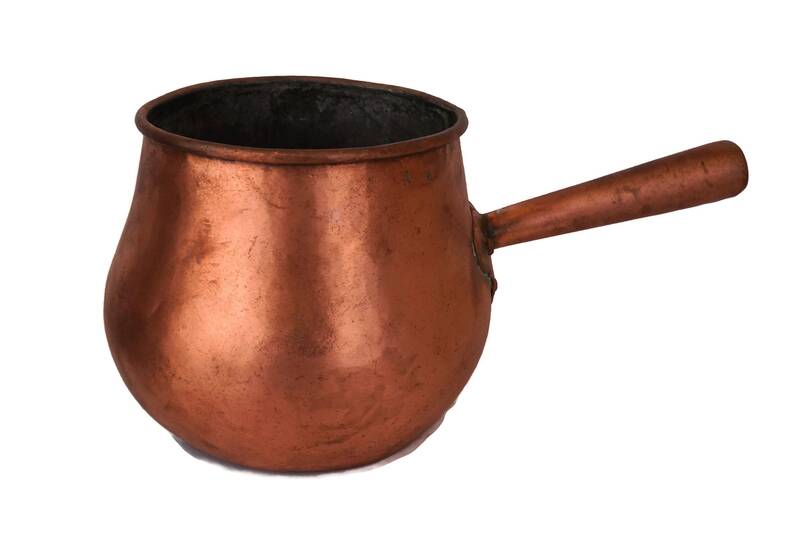 7" Tall (18 cm) x 6.2" Wide at the top (16 cm). 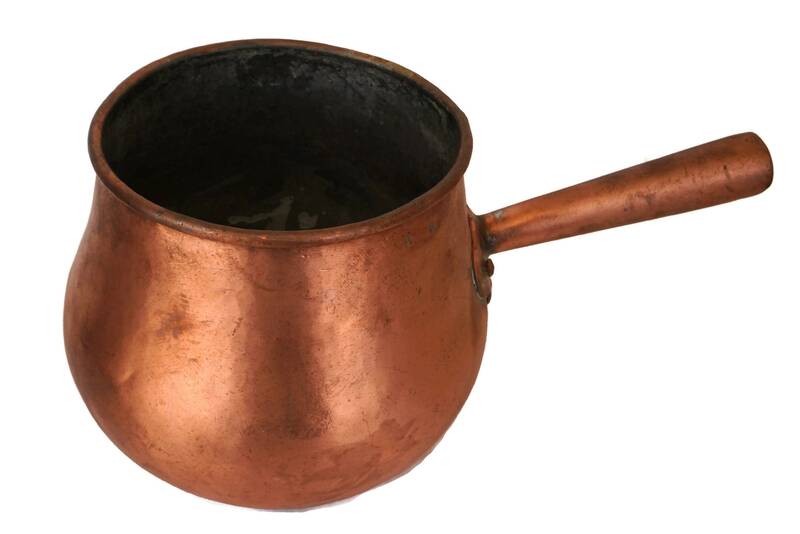 The handle is 5.5" Long (14 cm). 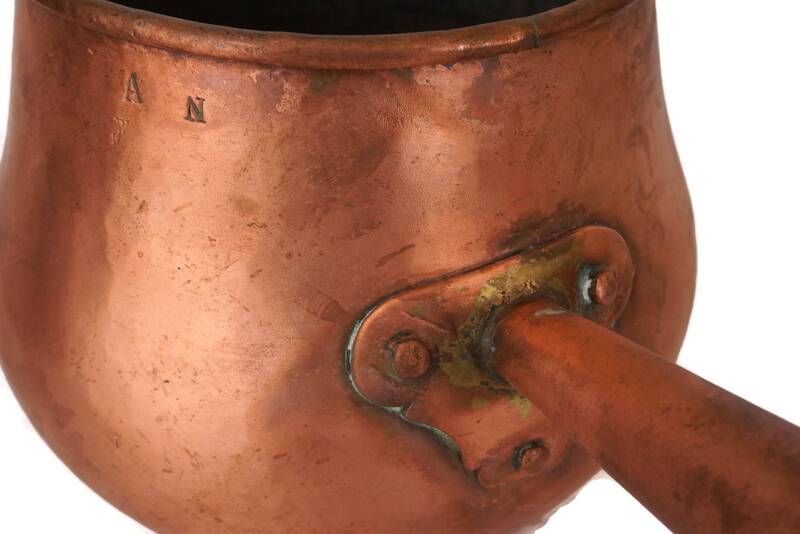 The French copper pot is in good vintage condition with some signs of age and use including patina and light surface marks and scratches.